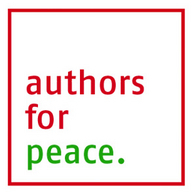 on September 21st 2010, the International Literature Festival Berlin will host Authors for Peace, a 24-hour, global, live online reading to mark the UN’s International Peace Day. In this event, which is the first of its kind, authors from all over the world will read from their work in a gesture of solidarity with those who are oppressed, or caught in conflict. Supporting Partners are LiteraturRaum, Cisco, and eGamesMedia.